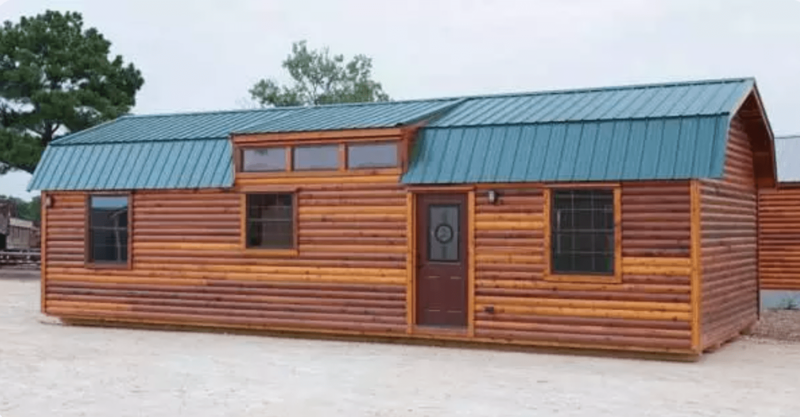 Planning out your log cabin is such an exciting process, and with the help of a good log home builder, it can be a very smooth and stress-free process. One of the first things people want to know when they’re planning out their log homes is how much will it cost? This is a question that doesn’t always get a straight answer which can be frustrating, but there’s a reason why it’s not so easy to just throw out a number. Each log house is going to have different variables which will alter the price. The price all depends on the design, the dimensions, the materials and the finishing touches that are put on the log house. So two of the exact same log cabin designs could end up costing very different prices. One of them could be built with cedar logs which can increase the price since cedar is priced higher than other types of wood. Someone who wants to have all of the high-end appliances in their home will hike up the cost of their home too, and even fixtures like faucets and toilets can end up raising the price of a home in the end. So it really does all depend on the design, but also the other items that go into the build. Your log home building company would be able to sit down with you when you have a good idea of the plan you want and the items you want in your home and give you a better estimate. This is another great log cabin from Ulrich Log Cabins that would be perfect for a vacation cabin out in the woods or at the lake. If you’re trying to keep your budget low though, small log cabins are the way to go. They will use fewer resources overall which makes them more affordable. Plus, they are environmentally friendly because they use less natural resources and because they’ll also use less energy in the long run. Small log cabins are way more energy efficient than larger log houses. Plus, another added bonus is they will require less work for maintenance and cleaning. The Rocky Ridge Series Log Cabins can be made to be anywhere from 448 to 1,024 square feet and can cost anywhere from $61,465 to $103,267. It can have one or two bedrooms and one or two bathrooms in it. The most popular size in the series is the 16 foot by 48-foot model that has 768 square feet of space. Regularly the cabin costs $118,698, but on sale, it could be $103,267 which saves you $15,431. This one has the 2 bedrooms and 2 bathrooms as well as a loft which would be great for additional sleeping space. There’s also a laundry room and two entry doors making for great air circulation in the home. They also include an upgraded mini-split HVAC. Their homes have stackable washer and dryer hookups, lots of cabinets in the kitchen and a pantry for food. The living area is a nice size with an open concept floor plan that includes the kitchen space close by. The higher ceilings also help in keeping the space feeling open and airy. This would be a great log cabin design for a small family who just needs a little getaway cabin to go to on the weekends or in the summertime. Jerry Ulrich and his son David created Ulrich Log Cabins in Cleburne, Texas and it continues to be a family owned and operated company. They offer not only log houses and cabins but also storage sheds, playhouses, garages, home office buildings, studios and of course, finished log cabins.